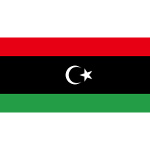 Mourning Day is observed in Libya every year on October 26. This is one of the most important official holidays in Libya and it was created to commemorate those people, who died during the Italian occupation of the country. Italy occupied Libya in 1911 and started a rough policy against the ethnic population. After the three-day Battle of Al Hani-Sciara Al Shutt of Tripoli Italian government ordered to start a massacre and mass deportation of Libyans. More than 4,000 civilian Libyans were killed by Italian troops on October 26. The same day three Italian ships carrying over 600 Libyans sailed to the sea to deport men, women and children to 26 small abandoned islands. This was the first deportation in a systematic process, that ended only in 1943. Libyans don't forget their history and every year observe Mourning Day. Telephones, post offices, shops and public transport is out of work from 6 a.m. to 6 p.m. The national flag is flown at half mast, Libyans wear black clothes and national TV channels broadcast programs in black-and-white.